The Youth Media Awards were announced at ALA Midwinter today and it was a Very Good Day! So many of our clients' books won some fabulous awards - we're so happy for them and all involved. And of course, we've got stickers on all of our clients' books in our hearts. THE POET X by Elizabeth Acevedo for winning the 2019 Michael L. Printz Award, being selected as an Odyssey Honor Audiobook, and being chosen for the Pura Belpré Author Award. THE ROUGH PATCH by Brian Lies, which has been chosen as a Caldecott Honor Book. EMLA client Dori Hillestad Butler whose KING & KAYLA AND THE CASE OF THE LOST TOOTH is a Geisel Honor Book. 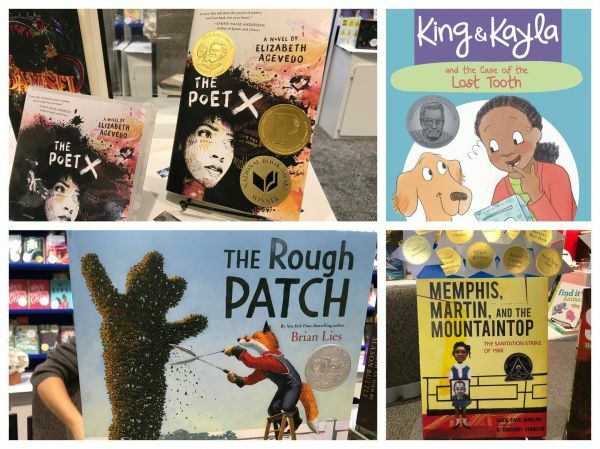 EMLA client Alice Faye Duncan's MEMPHIS AND THE MOUNTAINTOP and the wonderful illustrator, R. Gregory Christie, which was awarded a Coretta Scott King Illustrator Honor Book. (DON'T) CALL ME CRAZY, an anthology including a story by EMLA author Mike Jung, was selected as a Schneider Family Book Award teen honor title.